Painkillers are prescribed to help people manage both moderate pain, for fairly common reasons such as migraines, as well as more chronic conditions. Some milder painkillers are available without a prescription and are widely used, but some are classed as narcotics and become highly addictive if abused. Providing all medication is used as directed, the patient should have no problems with addiction when taking painkillers, but if the quantity or strength is exceeded the effects can be profound and dangerous. When pain is relieved by particularly strong painkillers, the patient experiences a kind of euphoria. The body becomes used to this very quickly so higher and higher doses are required to experience the same satisfaction. For some, the pain of their condition is so severe that they want to numb themselves completely, and so they willingly exceeding the recommended dose. 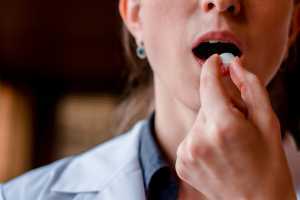 How do I know if I need painkiller addiction treatment? Your need for medication dominates your thoughts and you regularly anticipate until your next dose. You are going to more than one doctor for the same prescription. You are taking more than the amount your doctor prescribed. You have bought painkillers through unconventional and unofficial sources, such as online or through someone you know. You feel angry and irritable if anyone tries to talk to you about it or question your usage. You have been using painkillers for much longer than is recommended, or even though the source of pain has gone. Many painkillers, particularly the ones with addictive properties, are derived from opium. Opiates are known for causing overdoses and even death. Painkillers containing opioids are also likely to damage multiple organs in the body, including the liver, kidneys, heart and intestines, when used long-term and in excess. Paranoia and depression are also likely, as well as decreased cognitive function. Some painkiller addicts find themselves going to increasingly risky lengths even to source the medication they need, which invites various financial and social problems into their life. Associating with drug dealers, putting themselves in increasingly dangerous positions and even borrowing money to feed their habit, can shorten their lives significantly in a variety of ways. One of the reasons so many struggle to stop taking opiates, whether they’re prescription or illegal, is the sheer unpleasantness of the withdrawal process. It can last for anything from a day to weeks, causes extreme physical discomfort and is often treated with other medications to make it more bearable. After painkiller withdrawal treatment, the individual is likely to continue to experience profound cravings even after complete detox. During times of stress, and when they are reminded of how amazing the drug used to make them feel (often through social situations), people are pushed back towards prescription painkillers. Effective painkiller addiction treatment often requires maintenance therapy and drugs such as methadone. Many find that they can return to work and function normally in society when taking methadone, and it stops their cravings for painkillers. Narcotics Anonymous, modeled on Alcoholics Anonymous, uses the same 12-step recovery program, and many recovering addicts have found this model to be particularly helpful. Other one-to-one therapies such as cognitive behavioral therapy (CBT) can also help. Narcotic painkillers are profoundly addictive, so it is likely that the individual will have to consciously maintain their therapy for the rest of their life; they’ll also have to take particular care around any kind of pain medication in the future, no matter how mild.